CIA thwarts an Al-Qaeda plot to destroy a U.S.-bound airliner around the anniversary bin Laden's death. The CIA thwarted a plot by Al-Qaeda's affiliate in Yemen to destroy a U.S.-bound airliner using a bomb with a sophisticated new design, around the one-year anniversary of the killing of Osama bin Laden, U.S. officials said Monday. According to The Associated Press, the plot involved an upgrade of the underwear bomb that failed to detonate aboard a jetliner over Detroit in 2009. The new bomb was also designed to be used in a passenger's underwear, but this time Al-Qaeda developed a more refined detonation system, U.S. officials said. The FBI is examining the latest bomb to see whether it could have passed through airport security and brought down an airplane, officials said. They said the device did not contain metal, meaning it probably could have passed through an airport metal detector. It was not clear whether new body scanners used in many airports would have detected it. Sen. Dianne Feinstein, D-Calif., who heads the Senate Intelligence Committee, told reporters on Monday that she had been briefed about an “undetectable” device that was “going to be on a U.S.-bound airliner,” AP reported. There were no immediate plans to change security procedures at U.S. airports. The would-be suicide bomber, based in Yemen, had not yet picked a target or bought a plane ticket when the CIA stepped in and seized the bomb, officials said. It was not immediately clear what happened to the alleged bomber. 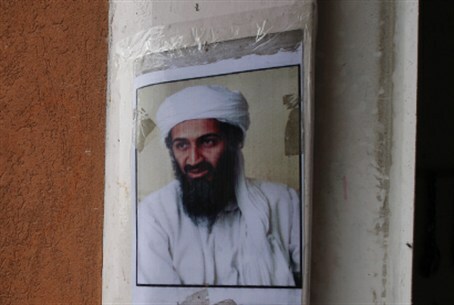 The operation unfolded even as the White House and Department of Homeland Security assured the American public that they knew of no Al-Qaeda plots against the U.S. around the anniversary of bin Laden's death, according to the AP report. The operation was carried out over the past few weeks, officials said. AP said it had learned about the thwarted plot last week but agreed to White House and CIA requests not to publish it immediately because the sensitive intelligence operation was still under way. Once officials said those concerns were allayed, the news agency decided to disclose the plot, despite requests from the Obama administration to wait for an official announcement Tuesday. The FBI and Department of Homeland Security acknowledged the existence of the bomb late Monday, but there were no immediate plans to adjust security procedures at airports. Other officials, who were briefed on the operation, insisted on anonymity to discuss details of the plot, many of which the U.S. has not officially acknowledged. “The device never presented a threat to public safety, and the U.S. government is working closely with international partners to address associated concerns with the device,” the FBI said in a statement. News of the thwarted plot came a day after Yemeni Al-Qaeda leader Fahd al-Quso, who was wanted in connection with the 2000 bombing of the USS Cole, was killed in an air raid in eastern Yemen.